My twins are starting kindergarten this year (sniff, sniff), so we have been gathering up school supplies and getting ready for the big day. They actually start on August 1, so we're cramming all that we can into the last few days of summer. 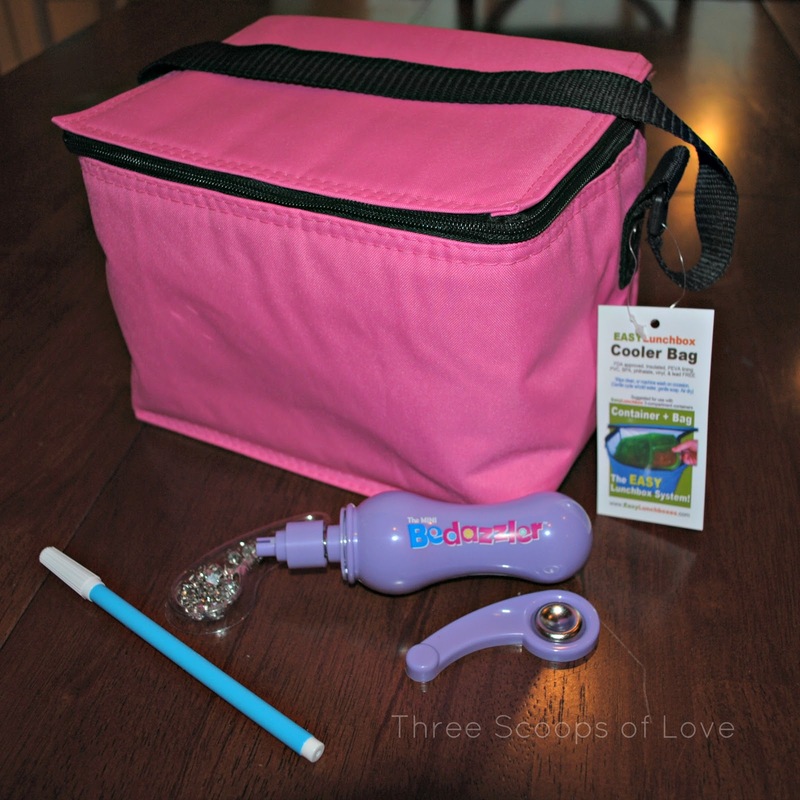 We are using the Easy Lunchboxes system for packing their lunches from home. 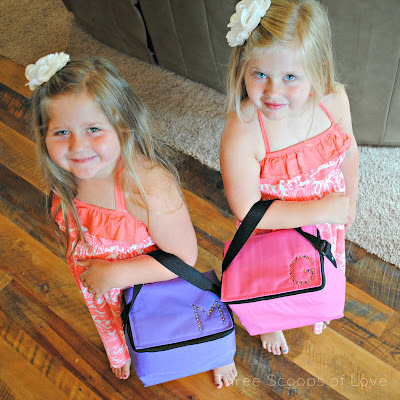 While they do come in a variety of fun colors, my girls were still looking longingly at the lunchboxes with cartoon characters all over them. 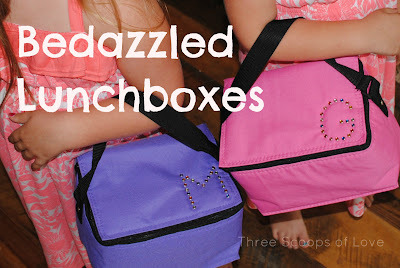 So, I decided we could spiff up their lunchboxes a bit. We started with the soft sided, insulated vinyl lunch box, the Mini BeDazzler tool (I got mine from Hobby Lobby with a coupon), and a washable fabric marker. 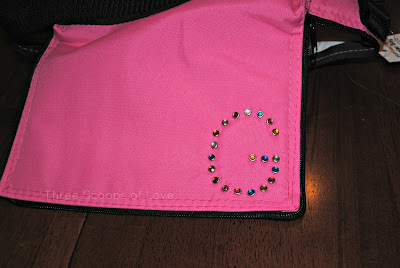 The girls decided to bedazzle their first initial on the top of the lunchbox. Obviously, you could do any kind of design or simple outline picture. 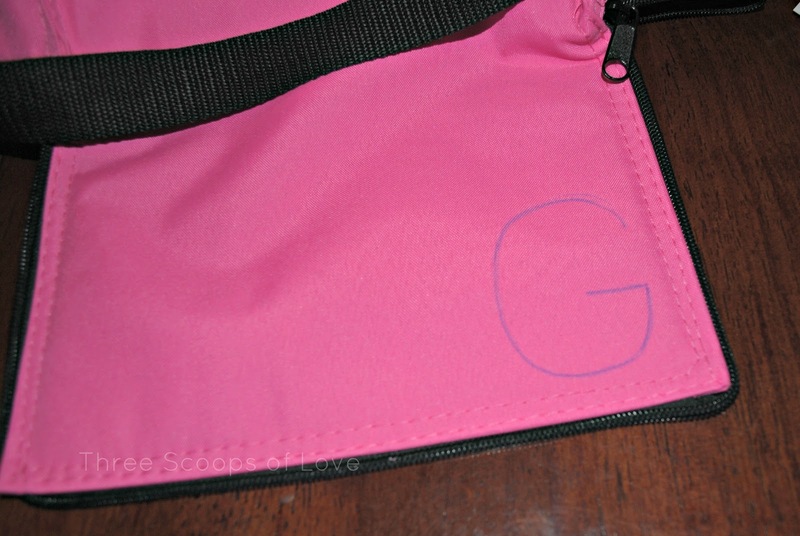 I drew a simple letter with the fabric marker to use as a guide. The twins decided to use a variety of colors of rhinestones, so I just eyeballed it and tried to space them evenly along my letter. I had never used a Bedazzler before, but it was really very easy. 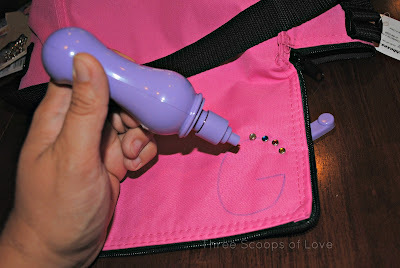 You just place the little cup shaped stick on the bottom side and line up your rhinestone, then give it a good push. When I was finished, I just wiped the fabric marker off with a damp rag. It came off super easy. I was a little nervous about the thickness of the insulated fabric. But, the rhinestones went right through to the other side. You can see where the little "teeth" stick through and then get bent closed. I was also unsure about poking holes in the lunchbox. I though it might compromise the insulation factor. After looking at the finished product, I don't think it's going to be a problem. 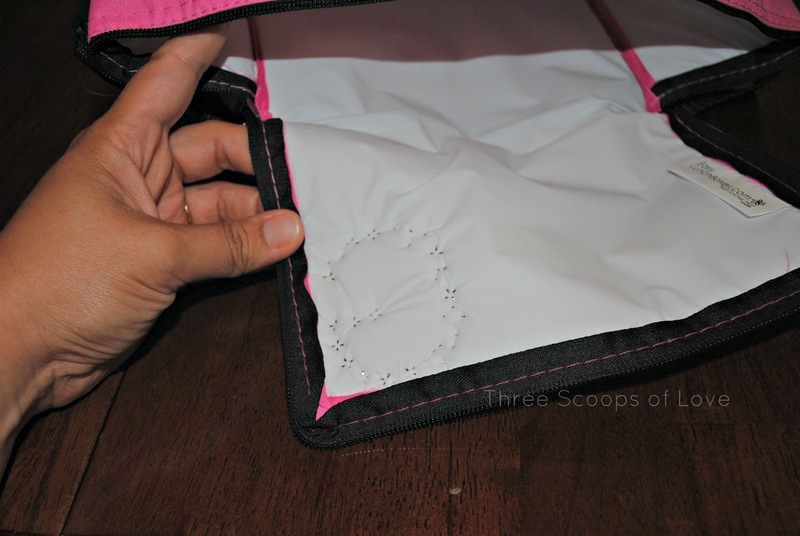 The holes are super tiny and you can't see any light around the rhinestones. Watch out kindergarten, here we come! **Disclaimer: Easy Lunchboxes and BeDazzler have no idea who I am.